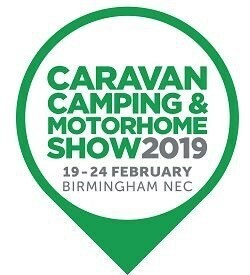 This Februarys’ Motorhome & Caravan Show at the NEC should be a real treasure trove for caravanners, whether you’re already a caravan owner, or taking the first steps towards finding out more about owning your very own static caravan. This show is the premier launch event for the new season’s caravans, motorhomes, accessories, awnings and trailer tents. With plenty of family fun on offer this February half term – from 19-24 February – and children aged 15 and under can get in for free*. Special guest appearances by celebrities, adventure challenges, dog agility demonstrations, interactive exhibits, theatre events and much more guarantee a packed and value for money day out that will keep everyone entertained. Thornley Leisure Parks has 9 stunning holiday parks across Wales, Cheshire and North Yorkshire and will be exhibiting at this popular show in Hall 4, Stand 4215, Willerby, Swift & Prestige stand and will be handing out free goodie bags filled with lots of useful information on what to look out for when purchasing your first static caravan.